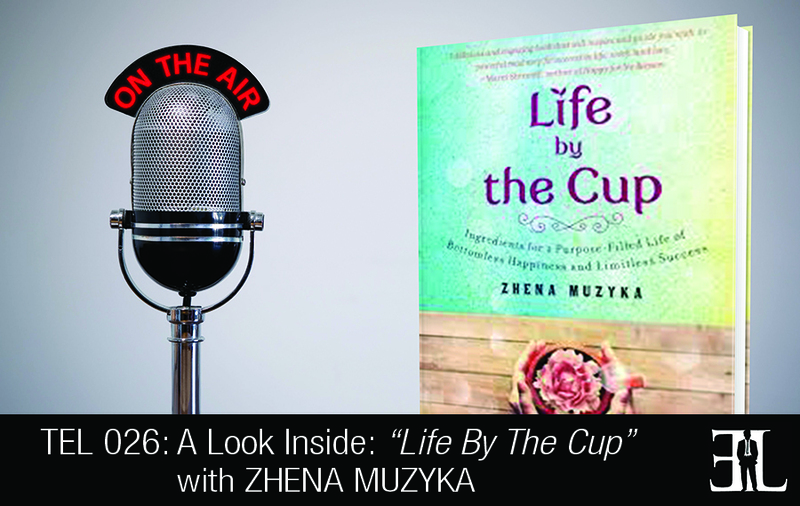 In this episode, Zhena Muzyka shares Life By The Cup, a book she wrote to help other entrepreneurs, as well as other people, find their dream, claim it and go after it. Each chapter is short enough to read in the time it takes you to have your morning cup of tea or coffee and teaches you how to hone, clarify and discern your calling and how to really believe in it. There aren’t a lot of books about social responsible businesses. There aren’t a lot of books about having $6 the day you start and building multi-millions of dollars in revenue. I created each chapter short enough to read in the time it takes you to have your morning cup of tea or coffee. Most readers are reading from start to finish and then coming back to it as a reference. But you can also skip around and that would work too. I think it’s answering the call. I talk a lot about answering a call in business and in life. You have no physical proof or evidence that that call is necessarily real, it just is a feeling. And I actually teach the reader how to hone, clarify and discern their calling and how to really believe in it. The first chapter starts with how to deal with frustration, pain, heartache and any challenging situation that comes to your life. At the time I was dealing with my son’s birth defect and the fact that health insurance companies wouldn’t cover him because birth defects, at the time, were considered preexisting conditions. I learned how we can actually reframe pain and allow it to serve us and create more capacity for success and love in our life. It starts with that and goes into learning how to ask for help which I had a really hard time with. After that I go into showing up when you don’t feel like you’re ready to start. I put in an offer on a location to open up my tea shop and didn’t get financed for it but ended up bringing in all my ideas and working for the man who owned the shop. That worked out amazing because I got to learn the ropes of business in a way that I wouldn’t have otherwise gotten a chance to learn. From there I talk about how to turn burdens into blessings. We had very limited funds when I started building the brand so I learned how to take every single challenge or burden and actually turn it into an opportunity. I also teach about collaboration skills, how to collaborate to be great and also how to cultivate curiosity. In chapter twelve I teach the reader how to gain perspective when you are so busy and there is so much on your plate. From there I go into how to self-validate. A lot of times when you launch a business, before you launch it you have to be firm in your understand and your belief in the product and your ability to do it. The last chapter is about giving, social responsibility and how generosity can eliminate fear in a business. I really feel that it’s a great, quick and entertaining read for any entrepreneur out there. I am a social entrepreneur, I believe that business can heel and change the world. I built a business starting out with $6, no resource training and a baby who needed an operation. I took my gypsy heritage and background in herbal medicine and created gypsy tea parties which grew into a brand seen as Gypsy Tea. Over the course of 13 years I built the business focused primarily on covering healthcare for my son and becoming an advocate for the tea workers who needed healthcare in the tea fields. The products have been in over 20,000 stores and now I am focused on distilling everything I’ve learned and putting it in to content for other entrepreneurs to learn from and grow their business. I felt strongly that I needed to write this book to help other entrepreneurs, as well as other people, find their dream, claim it and go after it.